Swap-a-Palüza 2018, A Free Swap Meet Event. Hey, do you happen to have a lot of VW parts piling up in your garage? Is your spouse nagging you to get rid of some of your "junk"? Well here's your chance. We're hosting a free swap meet at on September 15, 2018. It's called Swap-a-Palüza, and it's our way of saying thanks for supporting Bug-a-Palüza over the years. The event is held inside the RV park at Camp Jordan in East Ridge, TN. 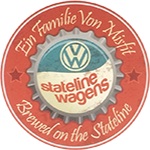 We are pleased to welcome back at Swap-a-Palüza, a top 15 car show brought to you by Stateline Wagens! Along with some specialty awards, the top 15 rides will receive trophies. As always, Swap-a-Palüza is a FREE event but there will be a nominal $5 fee to enter your car. We're just inviting everyone to come out and enjoy a weekend swap meet, and have a good time hanging out at the park. The event is limited to the space in the RV park and it's all first come, first serve so get there early. There is no cost to enter or vend. Best of all, you can also camp for free on Friday and Saturday night. So come on down to Swap-a-Palüza 2018 on September 15. Bring your junk. 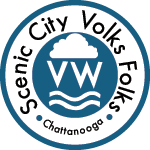 Hang out with the club and VW enthusiasts from all over. See you there!